A fired Milwaukee police officer is fighting to return to the force. Erik Andrade was terminated this summer for violating the department’s social media policy. Andrade made several controversial Facebook posts about the arrest and tasing of Milwaukee Bucks Sterling Brown. 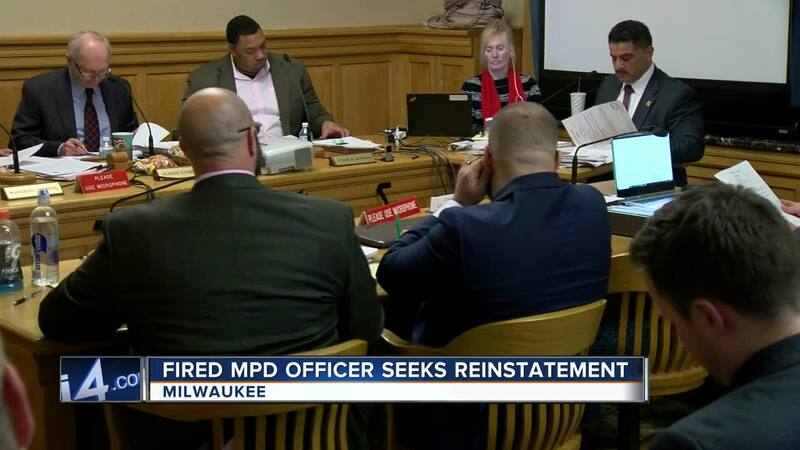 In front of the Milwaukee Fire and Police Commission, Milwaukee Police Chief Alfonso Morales said Andrade was ultimately fired because the Milwaukee County District Attorney’s office said they could no longer use him as a credible witness in criminal cases. Not long after community outrage over the release of body camera footage that showed the arrest and tasing of Brown, more distrust of the department followed due to Andrade’s social media posts. “There is no dispute that they caused a great uproar,” said city attorney Jeremy Levinson. Some viewed the posts as racist, others were upset Andrade bragged about the use of force on Brown while receiving overtime pay. The posts violated the department’s social media policy which was worthy of discipline by Morales, but that’s not the reason why Andrade was ultimately terminated. “I would not have fired him had not been for his inability to testify in court or be used by the District Attorney’s office to testify in court,” Morales said. Defense attorney Craig Mastantuono was called on to explain how Andrade’s controversial posts could possibly be attacked by other defense attorneys if he were to be called to testify. “If the officer did something that calls into question his judgment then that would be very easy to argue,” he said. Andrade’s defense argues he could still be used as a credible witness, pointing to his previously clean disciplinary record within the department. Morales argues otherwise. “I cannot risk having a high profile case where that person is the key witness and person to testify in court to ruin that case,” he said. The Fire and Police Commission are expected to make a decision on Wednesday.